Unmatched in skill and discipline army, the Holy Paladinate army Of Irosia has become the largest empire on Drakerys. The legions have conquered many countries, giving an unified law and order to millions.Its iron rule, however, is becoming questioned: is the empire too large for a single man to rule? Whispers become ideas, ideas become plans, plans become actions. 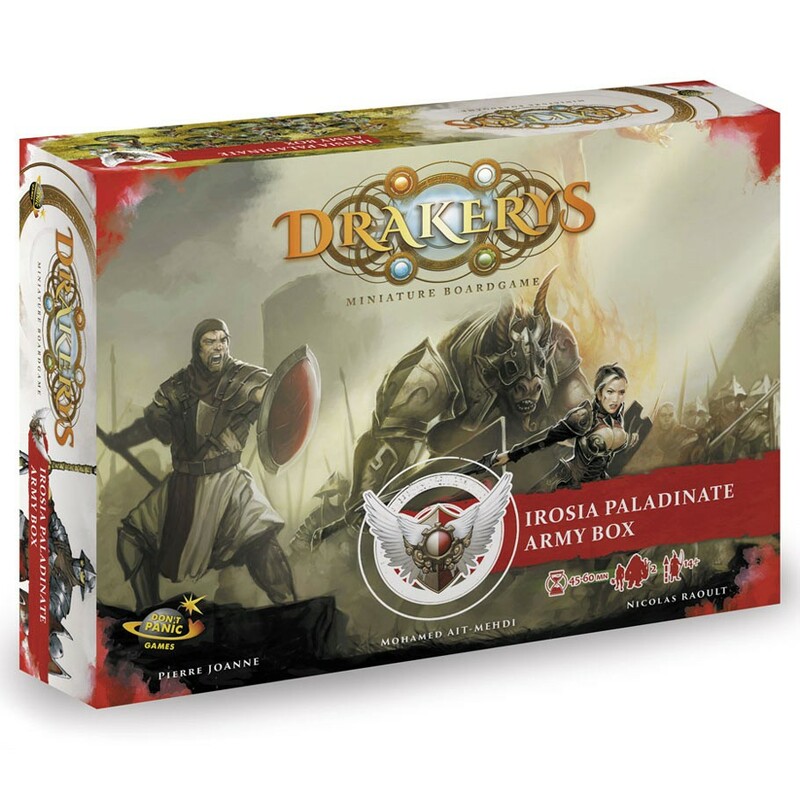 With the incoming war, it is certain we will see new heroes replace the old order, and a new dawn rise on the glorious Irosia!The Irosia Army Box holds everything you need to launch a conquest of Drakerys, in the name of Emperor Alexander or for your own glory!Miniatures can be assembled with various weapons and poses to suit your style and gameplay.